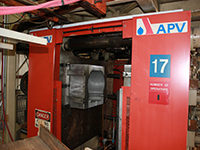 The Cado Company is a one-stop shop for all your blow molding needs. 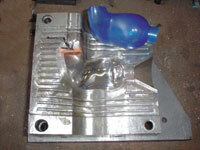 From mold making, design, prototyping, production runs and fulfillment, we are able to do it all under one roof, using some of the most advanced blow molding and mold-making techniques around. This saves you time and money. Our streamlined system perfectly positions us to deliver project results our competitors would call impossible. 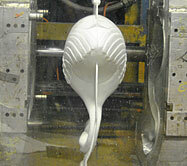 The fact that we manufacture all the molds here at Cado means you save time. 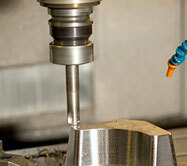 It’s our machining equipment, our expert mold makers, and our promise the process will go smoothly. No need to play middleman between the mold maker and blow molder over product manufacturing or mold design — we do it all here, simplifying the job for you, and we do it right. Our blow molding production runs are completely flexible — whether you need 1,000,000 parts per year or just 100. We handle both, serving the industry needs of clients big and small. Our versatility means we adjust to your requirements for any given job, — you don’t adjust to ours. Companies are all at different stages, and here at Cado we understand that. All of our customers are valuable customers. 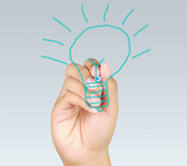 If a long production run isn’t feasible right now for your firm, no problem. 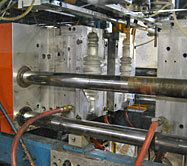 Our wide array of blow-molding equipment gives us great versatility. We can help by providing short-run solutions so you can get your product to market without any holdups, which allows you to evaluate your product for performance and characteristic standards before a larger run is required. Cado is an experienced user with whatever resin your project requires — traditional commodity resins, engineering-grade choices, or specialty resins. Whichever material you choose, we are here to make your product come to life. 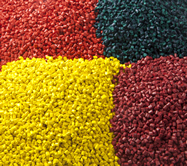 Resin capabilities include: High Density Polyethylene (HDPE), Low Density Polyethylene (LDPE), Polypropylene, K-Resin, Styrolux, Ethyl Vinyl Acetate (EVA), Polyurethane, Nylon, PETG, and Polycarbonate. Any other resin you require? Just ask! Cado’s consistent investments in equipment and machinery ensure efficient, high-quality production runs with a range of capabilities. With multiple head configurations and programmable profiles, we can manufacture whatever plastic product your company requires, whether 1 pound or 15 pounds. 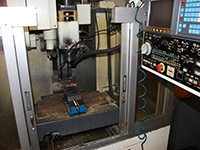 Our top-of-the-line equipment list includes machines from Rocheleau, Hayssen, Impco, Hycon, Sterling and Davis-Standard, as well as injection machine manufacturing equipment.